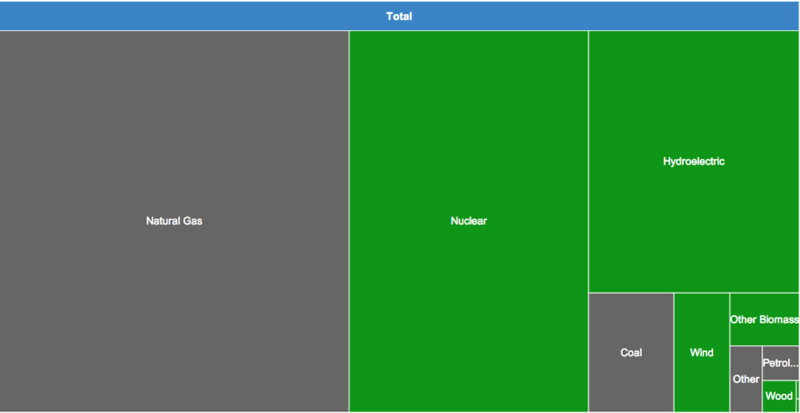 This kind of like a square pie chart of each fuel's share for New York State in 2012. Gray = fossil fuels. Green = not fossil fuels. The Blenheim-Gilboa plant, on the Schoharie Creek, is "pumped storage"? What? It's basically a way to use water to store the ability to generate electricity. When demand for electricity is low, the plant pumps water to an upper reservoir. When electricity demand soars, and the system needs additional capacity, the plant can then release that water into a lower reservoir to generate power. 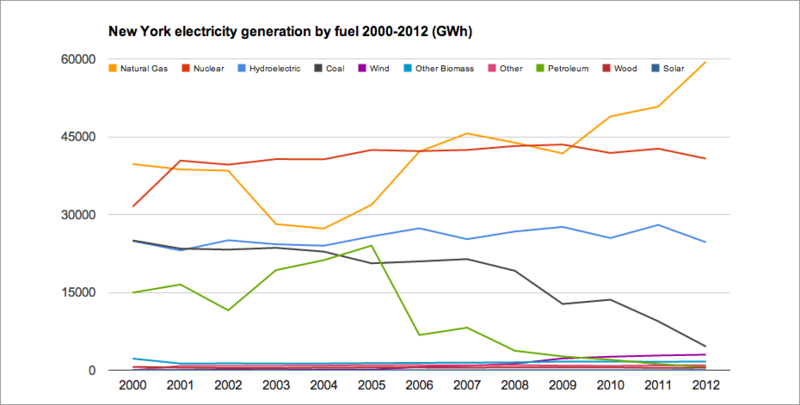 Numbers via the US Energy Information Agency New York Electricity Profile 2012. The charts are above in large format -- click or scroll all the way up. 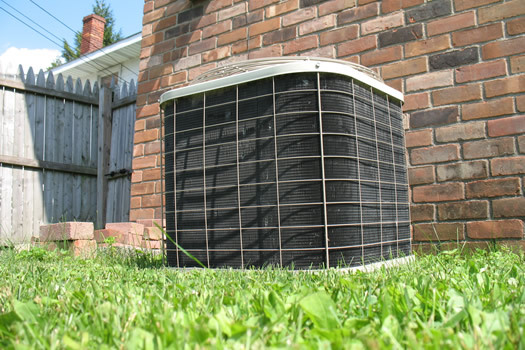 + Natural gas represents about 44 percent of the state's electricity generation. The role of natural gas has soared in recent years as its price has dropped, in large part because of fracking. + Another fuel that's risen sharply in recent years (by percent, if not by total share) is wind power. 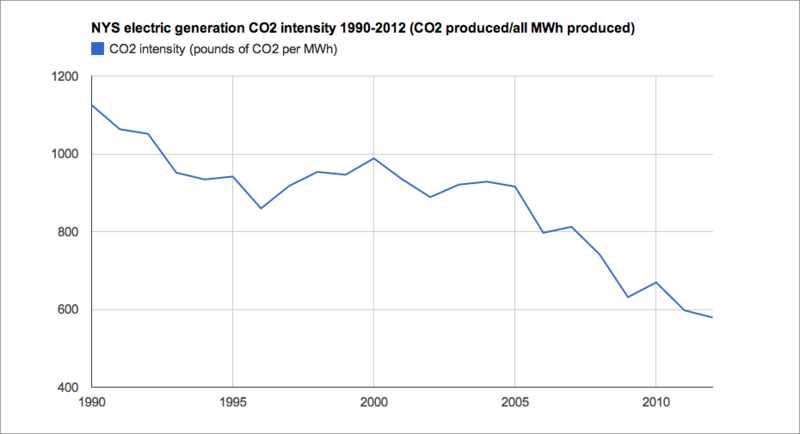 In 2012 it represented 2.2 percent of electrical generation (coal was 3.4 percent). And it was responsible for generating almost 3,000 percent more megawatt hours than in 2000 (because its role in the year 2000 was very, very, very small). + Solar's role is currently extraordinarily tiny. In fact, it doesn't even register in the federal statistics until 2011. 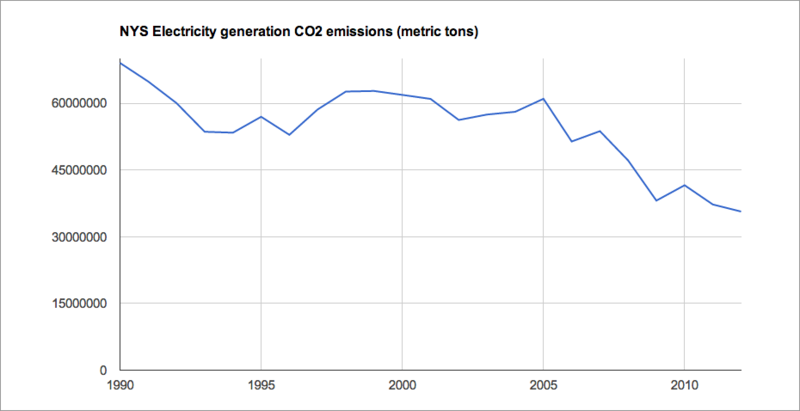 But its megawatt hour production increased more than 700 percent between 2011 and 2012 (again, because the starting number was so very, very small). And maybe that points to a big opportunity. The price of solar systems keeps dropping quickly, and there's been a recent boomlet in residential solar installation -- so much so that power utilities are now looking at the trend with a wary eye because it represents potential competition and could eventually upset funding for the traditional power grid. Each house or business that adds a solar system represents an extraordinarily tiny fraction of the overall picture, but if it becomes more common -- and for whatever reason, we seem to be noticing the systems popping up much more often now -- solar generation could start to really add up. New York State currently has a tax credit worth as much as $5,000 for residential solar installation. The potential issue with solar and wind isn't just as a competition issue (remember that in NY, what you think of as utilities, such as National Grid, do NOT own generation). Their variable nature creates additional issues for the grid, both in terms of voltage/stability (fluctuations in output aren't the friend of stable operations) and a need for more flexible traditional generation units to deal with that variability in output (that means gas). Don't read that as negativity, but as actual issues that need to be overcome, and that everyone has to pay for in order to accomplish greater renewable integration. The price of cleaner burning natural gas would drop further if Cuomo would stop sitting on his hands and allow it to be produced within NYS. Everyone wants to have their cake and eat it too. While natural gas power generation runs most efficiently at steady state (big heavy giant spinning metal rotor) nuclear can more or less have the production (speed of the reaction) dialed up or down. It makes it very complimentary to solar and wind, both of which are variable and weather based. (Sunny? Solar. Stormy? Wind. Too stormy? Hydro.) Solar also has the added benefit of having peak generation during the most peak power consumption times (the middle of the day).The larger your installed solar base, the less over all amount of fossil fuel burning sources needed. 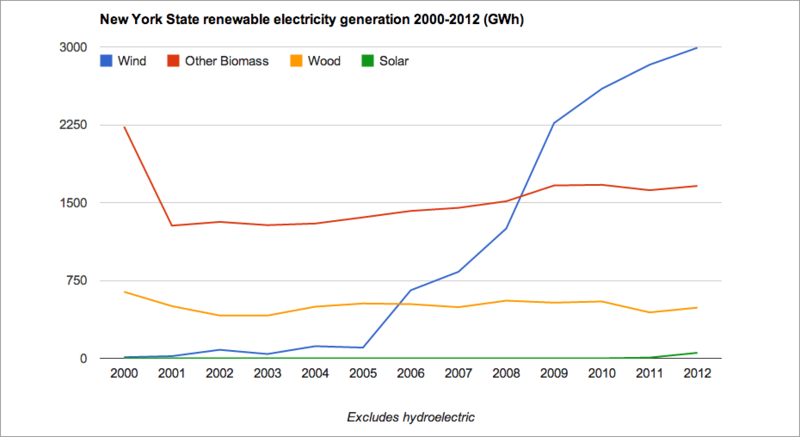 Interesting data on power generation. How does this match up with the sources of power used in NY? I seem to recall a large portion of our power comes from hydro, both within NY and Hydro Quebec. Fascinating. Nice job on the graphics, too. I find it quite ironic that out of the 10 largest power plants you show here, 6 of them use natural gas and petroleum and yet Gov Cuomo just shut down the possibility of fracking in NY State. Maybe NY should have to pay 10 times the amount for their natural gas that comes from PA and Ohio, or shut down these 6 power plants and put up wind mills and solar panels for the people in New York City.